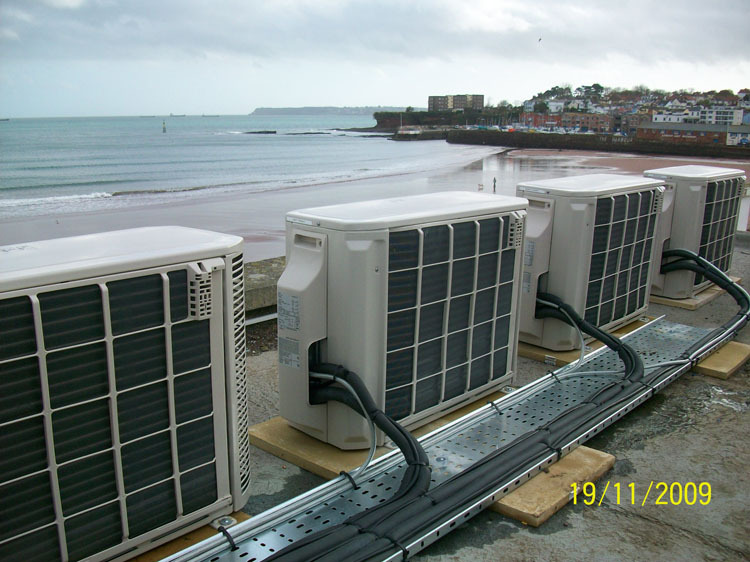 4 Seasons Solution's team of air conditioning engineers specialise in installing effective air conditioning systems for homeowners, builders, architects and commercial premises in Exeter, Exmouth and across the South West. 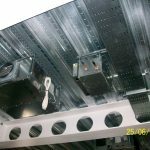 We design, supply and install efficient, bespoke air con systems designed to meet all of your requirements while reducing energy consumption by up to 35%. 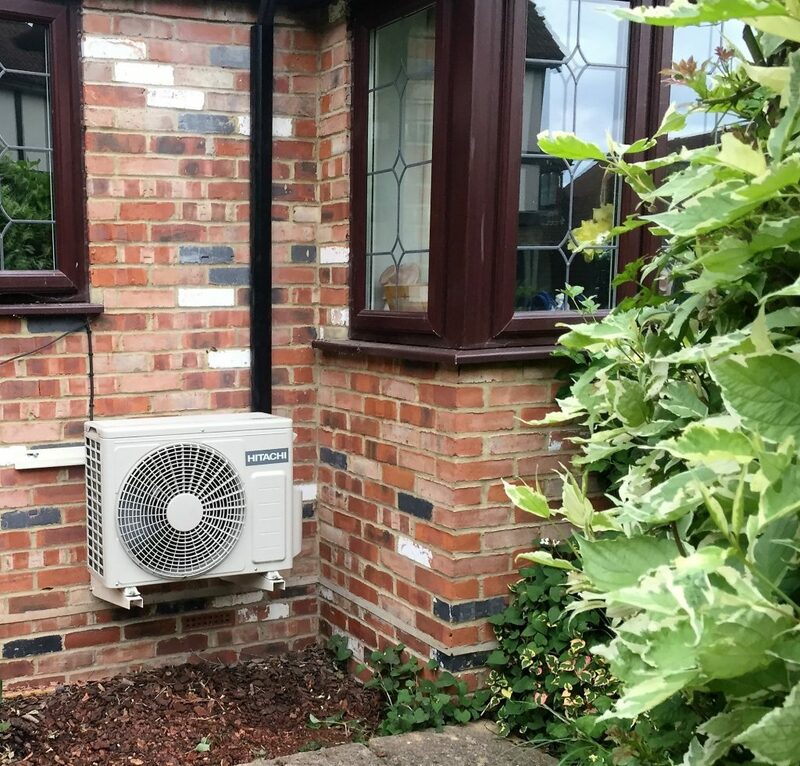 Our service doesn't stop with the installation though, as our air conditioning engineers are always on-hand to improve, maintain or appraise your new or existing air con system. 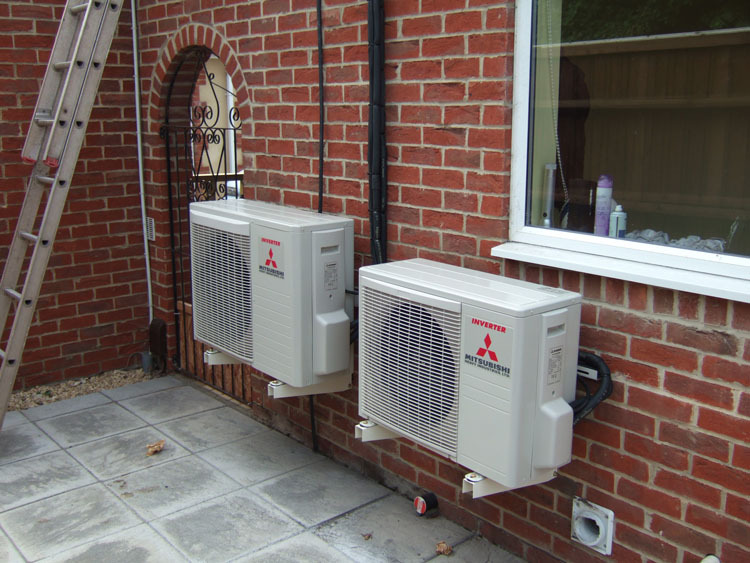 Whatever you're looking for, our air conditioning engineers will find it for you. We're completely impartial and not affiliated with any single manufacturer or supplier. 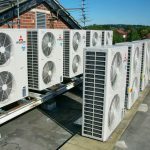 That means that our engineers have free reign to weigh up your needs and requirements against the costs and benefits of any air conditioning system or components. 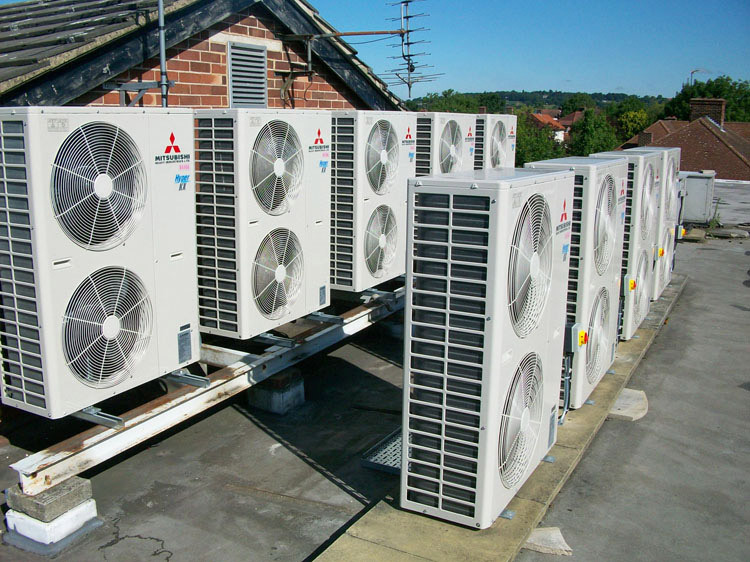 Once we know what you're looking for, we'll create a custom commercial or domestic air conditioning system, along with a bespoke installation plan to ensure that any work is completed quickly. 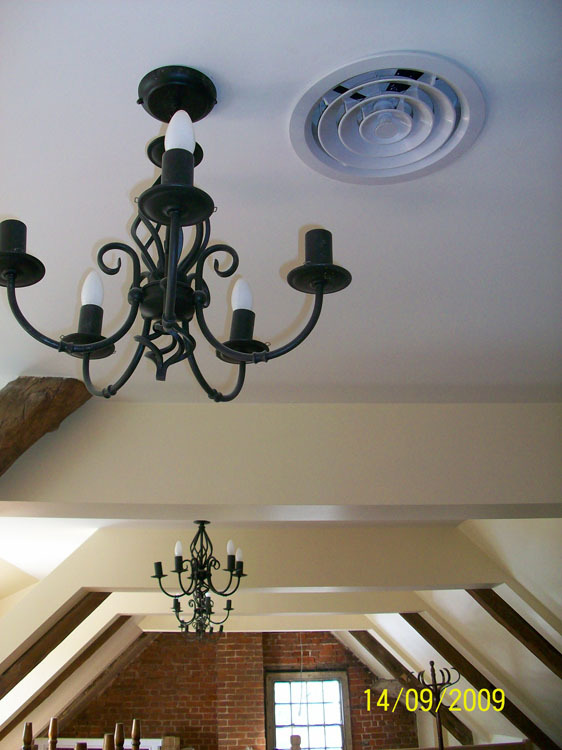 This minimises costs, and the disruption to your home or business. We operate throughout Exmouth, Exeter and the wider Devon area, so when you need a quote, we're only a phone call away. 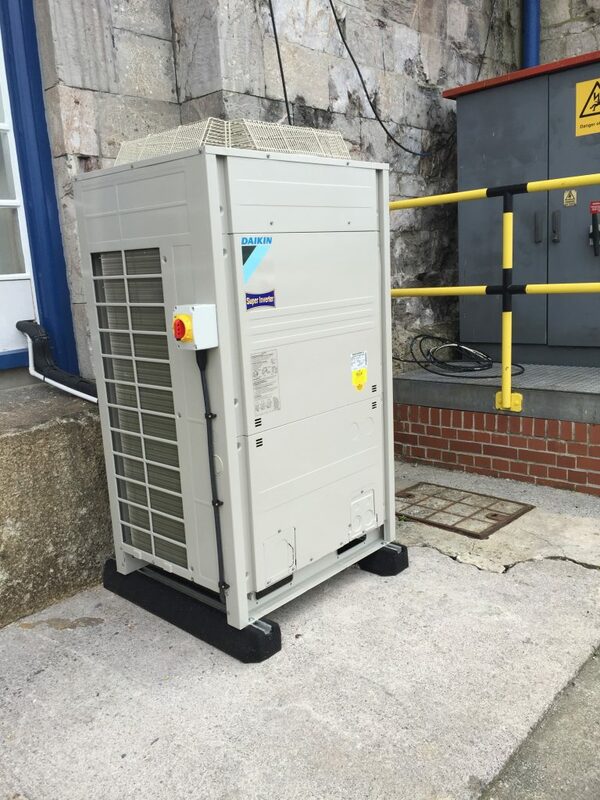 Air conditioning systems can be temperamental. If you want to continue getting the most out of yours, you'll need regular maintenance and servicing. Our engineers are on-hand to help out. 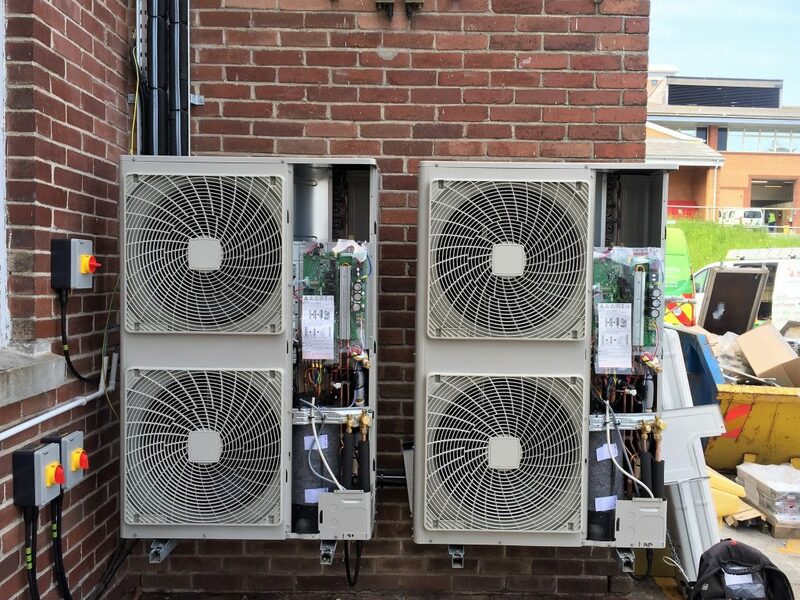 All of the air con systems we supply are subject to a minimum of a one year parts and labour warranty – but if you want the very best results over a sustained period, we offer five year warranties alongside our regular maintenance packages. 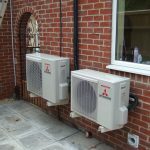 So if you need an air conditioning engineer to keep your home or workplace cooler for longer, get in touch today. Available in Devon and the South West. On the same principles as a refrigerator but split into two parts. The indoor unit acting like the cold plate inside a fridge and the outdoor unit acting like the warm pipes on the back. 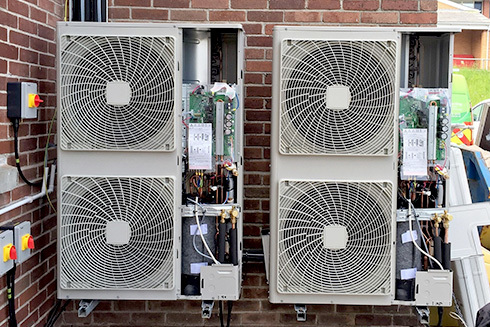 Heat is transferred between the two units using a compressor to circulate refrigerant. What is a split system and a multi-split system? 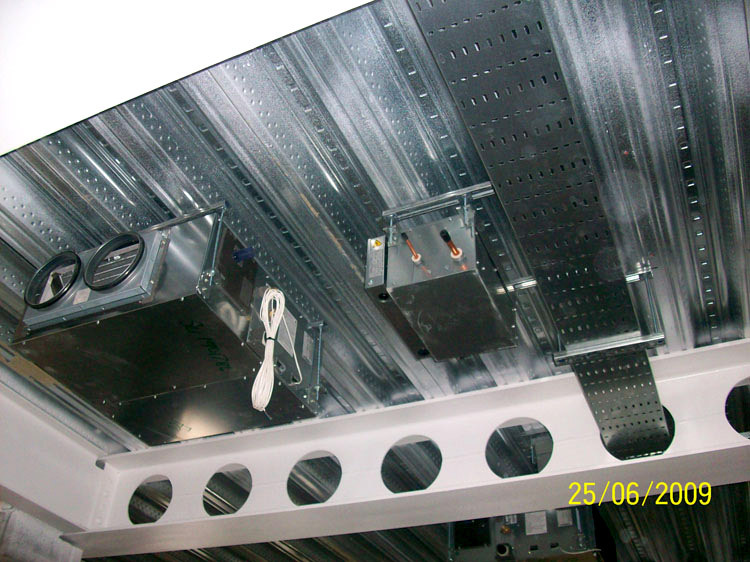 A split system is the description given to a system that is split into two parts indoor and outdoor unit. (Unlike a portable unit). 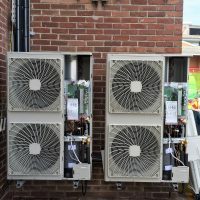 What are VRV and VRF systems? 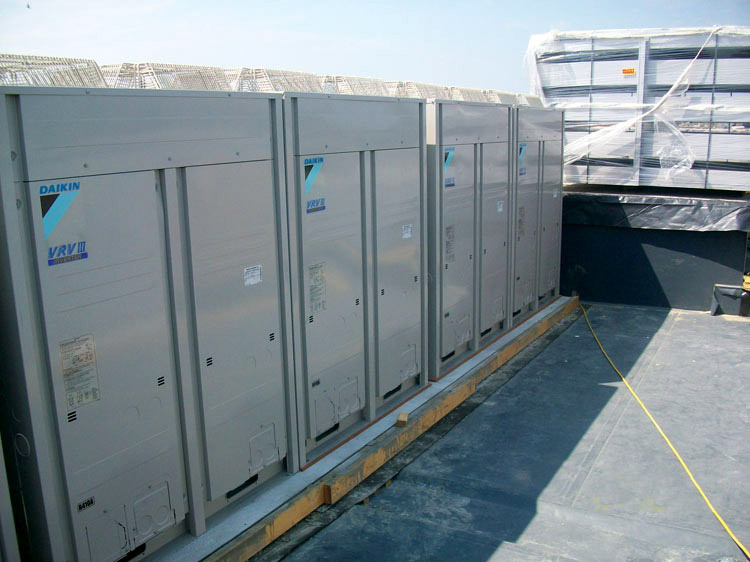 Variable Refrigerant Volume and Variable Regrigerant Flow systems are where a large number of indoor units can run from one large outdoor unit. This is done with one set of pipes picking up all the indoor units and then running back to the outdoor unit. (Usually used in commercial applications). 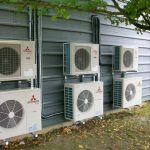 What are Inverter driven systems? 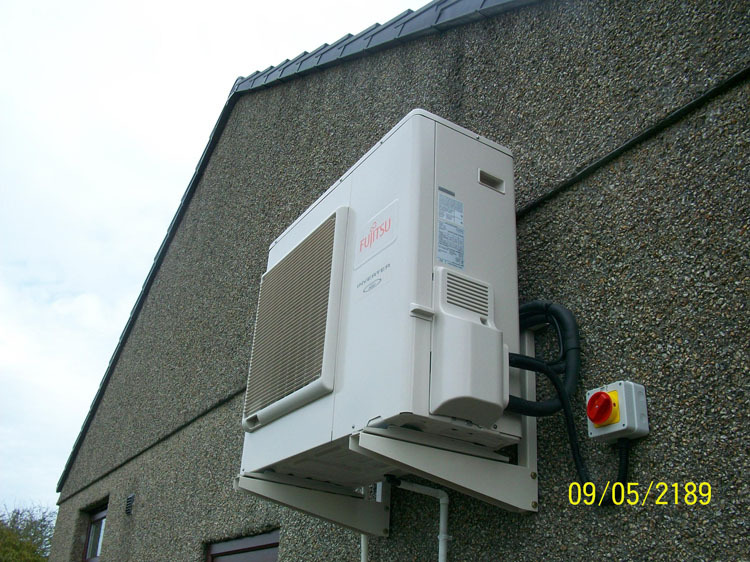 The inverter is an electronic device that changes the frequency of the electricity supplied to the compressor. This gives it speed control linked to output requirements. 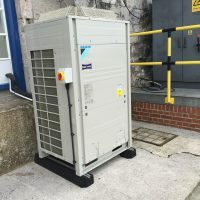 Using an inverter also allows the compressor to "soft start" which eliminates start up surge and allows it to run at slower speeds instead of stopping and starting. This greatly increases the life expectancy of the system. 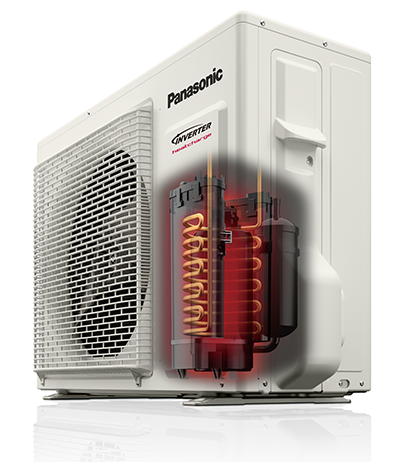 Inverter driven systems are around 30 % more efficient than conventional equipment. The principle of air conditioning always comes down to the same: absorb energy in one place and release it in another place. 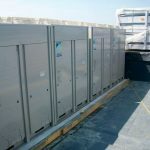 The process requires an indoor unit, an outdoor unit and copper piping to connect both. 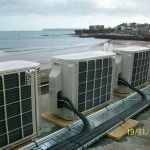 Through the piping the refrigerant flows from one unit to another. 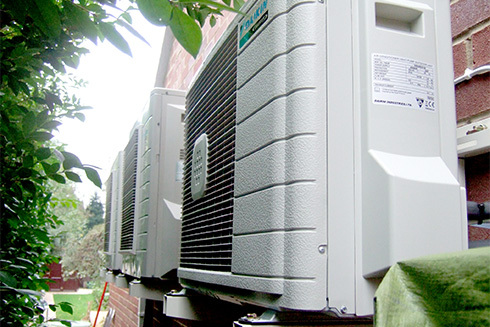 It is the refrigerant that absorbs the energy in one unit and releases it in the other. A fan blows the hot indoor air over a heat exchanging coil through which cold refrigerant flows. 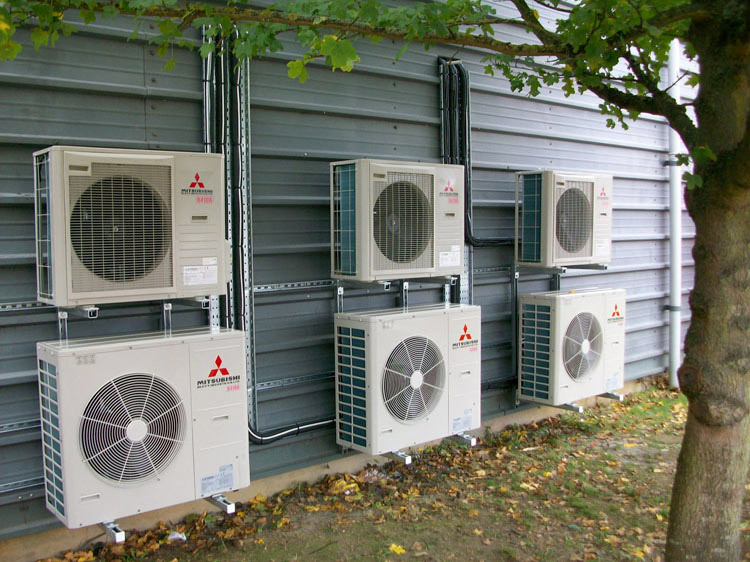 The cold refrigerant absorbs the heat from the air and cooled air is blown into the room. Through compression, the refrigerant gas is heated and its boiling point increases. 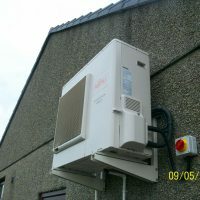 In the outdoor unit the obtained heat through compression is released to the outdoor air by means of a fan which blows the outdoor air over a heat exchanging coil. 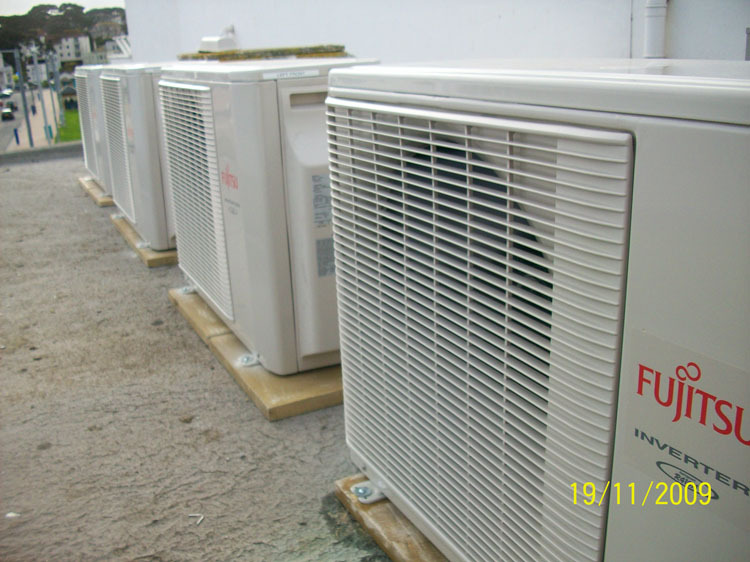 Back in the indoor unit, the refrigerant is decompressed and thus enabled to extract heat form the indoor air. 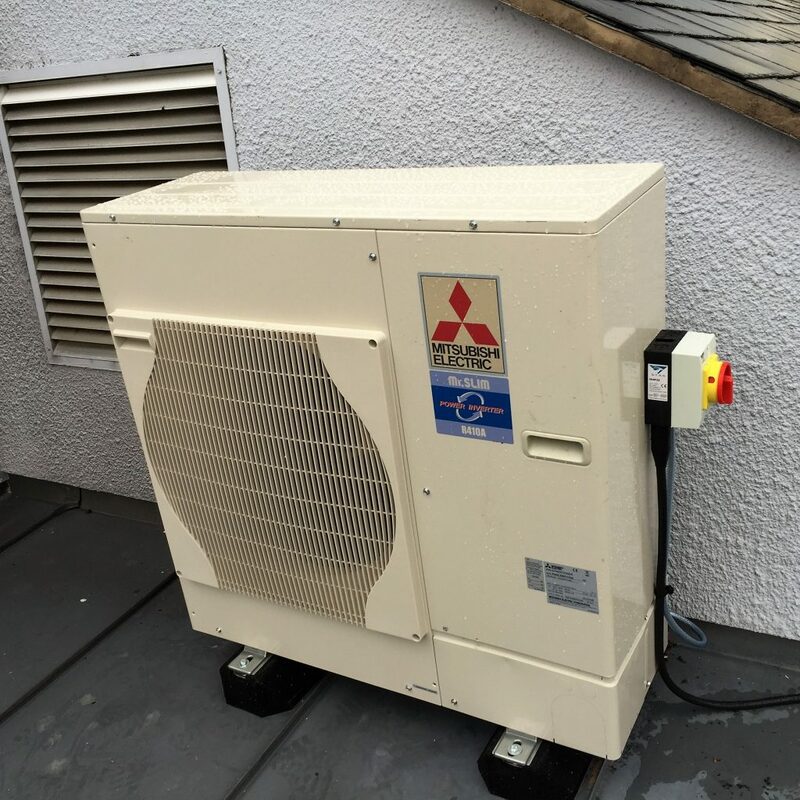 "It is early days yet but we are really happy with our installation, Jerry made a very neat job on the wiring and installation of the inverter and the panels look and fit well on the roof. 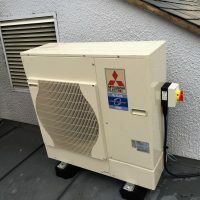 Gareth you were the only one to suggest installing the inverter in the garage where it is both cooler and far easier to maintain if it were ever necessary and played a part in our decision to go with 4SeasonsAC. The buying from you was easy with your transparent all inclusive pricing policy and top name brand equipment, we are sure you and your team are going to do very well in the PV and micro generation world. Very happy to be a reference installation should you wish. Thanks again." 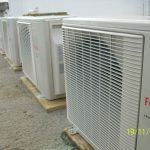 "Many thanks Gareth for the painstaking effort you went to ensure the system was suitable for our use. The team worked exceptionally quick in order to beat the pending bad weather. They were thorough, professional and even cleared up after themselves. Once again many thanks and we would have no hesitation in recommending your services to other interested parties." For commercial customers, we work in conjunction with Shire Leasing, who supply commercial finance through a vast network of finance companies. 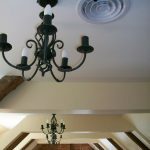 For domestic customers, we work in conjunction with Improveasy, who supply private finance to UK homeowners looking to carry out home improvement.